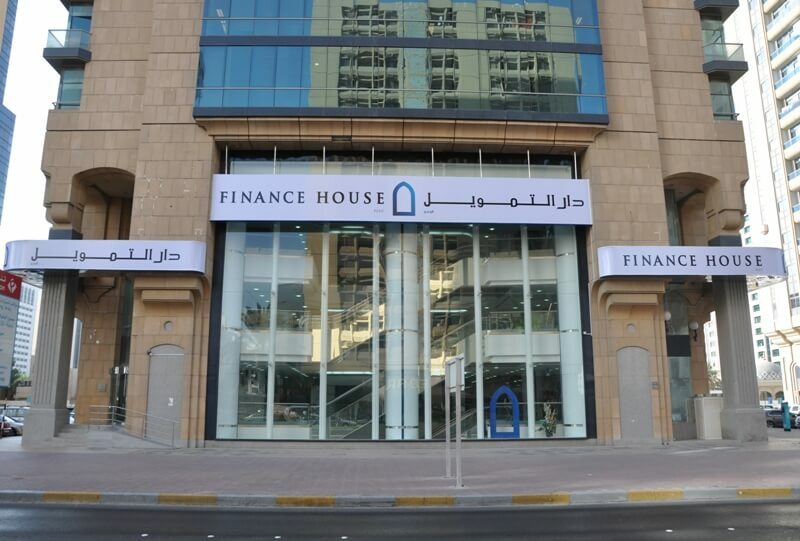 Abu Dhabi, 28 October 2013 - Finance House PJSC (FH) has registered a robust consolidated net-profit of AED 80.2 Million for the nine months ended 30 September 2013, which is 10.4% higher than the net-profit of AED 72.6 Million earned during the same period last year. Net Interest Income earned during the first nine months of the year grew to AED 92.7 Million compared to AED 91.8 Million registered in the same period of the previous year. Net Fee & Commission Income grew by a whopping 43.7% to reach AED 32.7 Million compared to AED 22.8 Million during the first nine months of the previous year. Similarly, Net Insurance Income at its insurance subsidiary also registered an impressive growth to AED 8.6 Million compared to a marginal loss of AED 0.9 Million in the comparable period of the previous year. Income from investing activities also grew at a healthy rate of 20.5% compared to the same period in the previous year, on the back of improved performance of UAE stocks, profitable exit from a private equity investment and profitable disposal of an investment property. As a combined result of the above, Total Operating Income for the nine months ended 30 September 2013 was higher by 10.4% at AED 193.9 Million compared to AED 175.6 Million during the same period of the previous year. Due to continued expansion in business activities of the Group, Total Operating Expenses were higher by 8.1% compared to the same period last year. In line with its conservative approach towards impairment provisioning, FH continues to set aside adequate provisions against potential impairment losses, on a quarterly basis. Net charge on account of impairment allowances for the first nine months of 2013 was AED 23.1 Million compared to AED 19.1 Million during the same period of the previous year. Commenting on the financial results of the Group for the first nine months of 2013, Mohammed Abdulla Alqubaisi, Chairman of Finance House said: “Our steady all-round growth in business volumes and profitability alongside stable and healthy balance sheet ratios clearly manifest the resilience of our business model and our ability to adjust swiftly to changing market conditions. We continue to seek and address profitable & underserved niche segments in order to generate healthy returns for our shareholders on a sustained basis. We are confident that this strategy will continue to serve us well in the near future also. ”Net Loans & Advances grew steadily to reach AED 1.42 Billion as of 30 Sep 2013, compared to AED 1.35 Billion at the same time last year. During the same period, Islamic Financing & Investing Assets grew by nearly 38% to reach AED 103.3 Million as of 30 September 2013 compared to AED 74.9 Million as of 30 September 2012. Customers’ Deposits grew steadily at an annual pace of nearly 16% to reach AED 1.89 Billion as of 30 September 2013, compared to AED 1.63 Billion as of 30 September 2012. The resultant Loans to Deposits ratio as of 30 September 2013 stood at a healthy 80.4%, leaving sufficient room for growth in lending book in the near future. Shareholders’ Equity as at 30 September 2013 jumped to AED 709 Million compared to AED 651 Million as of 31 December 2012. This is after distributing a cash dividend of 12% in March 2013, amounting to AED 36.3 Million for the year ended 31 December 2012. At the recently concluded Banker Middle East Industry Awards 2013, Finance House was once again voted as the “Best Corporate Finance Company in the Middle East”, for the second year running. Insurance House (IH) was adjudged as the “Best Local Insurance Company” and the motor insurance product offering from IH was earlier adjudged as the “Best Motor Insurance Product in the ME” under the Product Awards category.